4th & Mayor has now checked into the Windows Phone marketplace with a new tile and most importantly many new features for us to enjoy. Many of the features being made possible by the Mango update like in app pin-able live tiles, fast app switching, etc. 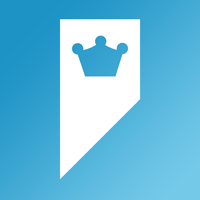 Check out this HUGE changelog and if you love foursquare and have a Windows Phone – you need to install this free app! New Live Tile Studio for organizing, customizing, renaming, and enjoying pinned places. Fixed bugs where places pinned to the start would disappear after a phone restart. 4th and Mayor is a quick, clean, simple foursquare client for Windows Phone, created by Jeff Wilcox in Seattle. Written by: Hyde13 on November 18, 2011.